In this episode of PASS FCE….An overview of the Reading and Use of English paper and also speaking with Virtu who is studying for the FCE exam. 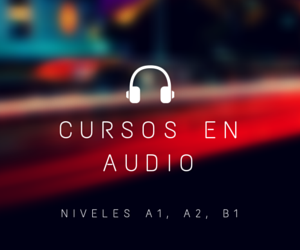 Learn English free at mansioningles.com and take your English to the next level with our audio podcasts at inglespodcast.com. 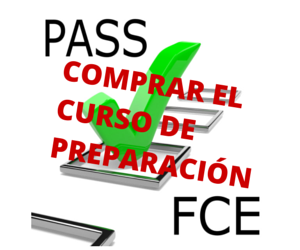 So, we continue with an overview (general information, a summary) of the new FCE exam from January 2015. In the last episode (episode 7) we looked at the listening paper, and in episode 5 we spoke about the speaking. Now let’s look at the Reading and Use of English part of the exam. These parts used to be separate (before 2015), now they are in the same paper and you have only 1 hour and 15 minutes to do this section. One thing that teachers seem to agree on is that timing could be a big problem in this part. You have a lot to read and a lot to do in only 1 hour and 15 minutes. So, let’s look at the separate parts of the Reading and Use of English paper and see exactly what you have to do. Do you know how many parts there are in this paper? There are 7 parts altogether. 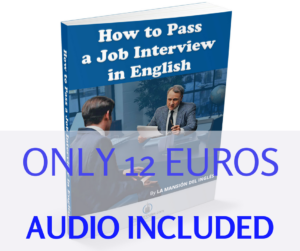 Parts 1 to 4 test grammar and vocabulary (the Use of English exercises). Parts 5 to 7 have reading comprehension tasks. There are a total of 52 questions and this paper is worth 40% of your total mark. 20% writing, 20% listening and 20% speaking. Part 1 is a Multiple-choice Cloze. You have to complete a text containing 8 gaps by choosing 1 word from 4 possibilities (A, B, C or D). This first exercise mainly tests your vocabulary, linking words, collocation, idioms, fixed phrases, phrasal verbs etc. There are 8 questions in this part. You need to look before and after the gap for dependant prepositions, collocations and grammar (gerund/infinitive). In the example, basic is usually an adjective, not a noun. The noun would be base. similar. You have texts with gaps and you have to complete the texts with a word in each gap. But there are 2 main differences. In part 1, you have a choice of four words. Only one word is correct. In part two, the Open Cloze, there are no choices. You have to think which word could be missing. Also, the missing words in part one are often vocabulary words, words with meaning, like verbs, nouns, adverbs, adjectives etc. The missing words in part 2, however, are often (but not always) grammar words, like prepositions, articles, pronouns and auxiliary verbs. So, part 1 is testing your vocabulary, linking words, collocations, idioms, fixed phrases, phrasal verbs etc. Part 2, on the other hand, is testing your grammar; prepositions, pronouns auxiliary verbs, articles etc. There is some focus on vocabulary. You may need to write the verb part of a phrasal verb (like the WAKE in ‘wake up’) or a verb or noun collocation (like the HAVE in to ‘have a relationship’, for example). There are 8 questions in this part, the same as in part 1. Part 3 is called Word formation and there are 8 questions to answer. You have a complete a text that has 8 gaps, and you complete it by making a new word from a given ‘root’ word. For example, maybe the given word is HAPPY and you have to change it to ‘unhappy’, or the adverb ‘happily’ or the noun ‘happiness’. There may be irregular word changes, like changing long to length, wide to width or deep to depth. In this part, it’s important to understand the text, because maybe you need a negative word and maybe you need a positive word. Maybe the answer is unfortunate and not fortunate, maybe it’s dissatisfaction and not satisfaction. Don’t worry, we will help you in a future podcast and look in detail at word families, word changes, prefixes and suffixes and how to make changes in words. Part 4 is the Key word transformation part. There are six separate questions. There are 2 sentences in each question. The second sentence has a gap which has to be completed with two to five words, one of which is a given ‘key’ word. The key word transformation part tests grammar, vocabulary and collocation. There are only 6 questions in this part, but many students find this exercise the most difficult. You will improve with practice, but you also need to know the grammar, vocabulary and collocations that this part of the exam is testing. We will be giving you a list of the main grammar points you need to know in a future episodes of PassFCE. Part 5 takes us on to the first full reading-based task. Although parts 1, 2 and 3 have complete texts, parts 5, 6 and 7 have longer texts and they focus more on your reading skills. Part 5 is a multiple choice-type exercise. You have to read a text and then answer six multiple-choice questions. You choose one answer from 4 possibilities; a) b) c) or d). Part 6 is a text with gaps in. It’s called the gapped text exercise. You read a text from which sentences have been removed and placed in jumbled order after the text. You must decide from which part of the text the sentences have been removed. There are 6 questions in this part and it tests cohesion, coherence and text structure. Cohesion refers to connectivity in a text, how ideas are connected together. Coherence refers to how easy it is to understand the writing. The final part in the paper is Part 7. It’s called multiple matching and you read a text or several short texts, preceded by multiple-matching questions. You must match a prompt to elements in the text. There are 10 questions in this part and the task focuses on detail, opinion, specific information, implication (things that are implied or suggested in the text). So, as you can see there is a lot to do in only an hour and 15 minutes. You don’t have to do the parts in order from 1 – 7. You may decide, for example, that it would be easier to begin with the reading when you are fresh at the beginning of the test and work back from part 7 to part 1. This way you save the grammar and the shorter texts until last. You should do some practice tests before the exam, time yourself and see which is best for you. As I said before, we will be focusing on each part of this paper in detail in future episodes. Before we go, I’d like to introduce you to one of my students, Virtu, who’s taking the FCE exam in June this year. I’ll be asking more students to come on the show in the future so that you can hear their English level and follow their progress. Here’s PassFCE’s first interview with Virtu. “About nine half I arrive to my house” – I get home about half past nine. I’m sure you’ll agree that Virtu spoke very well. I was amazed at her daily routine: classes at the university in English and 3 hours athletics practice running the 1500 metres! I’m tired just thinking about it. Thanks to Virtu, thank you for listening, and we’ll be back very soon with another episode of PassFCE. Next episode: An overview of the Writing paper and another interview with an FCE student.